If you’re looking for a train-related event near you for International Train Day, May 14, Vacations by Rail has posted a calendar of events. The site also covers future events beyond Train Day, and it’s a useful information source for anyone interested in trains. 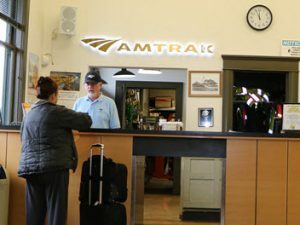 Also from Vacations by Rail: An iPhone app, WindowTrip, that provides visuals and info trips on Amtrak’s top long-haul trains: The California Zephyr, Empire Builder, and Southwest Chief. Download it here.